In This Section Introduction Histroy for Company About Uniqolabel What is Uniqolabel? Dinesh Jain has been in the family business of providing hologram security since 1999, but he always felt a piece was missing. Holograms were being used worldwide by companies to fight duplication and counterfeiting, but the end consumer had no way to verify or authenticate those holograms. To solve this problem, Jain along with his brother, Vikas, launched Uniqolabel. 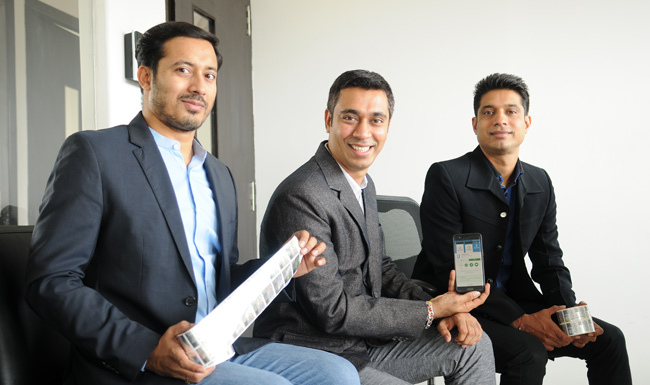 The Bengaluru-based start-up is a three-part product, combining brand and customer-facing solutions. The technology that is developed in-house consists of a security label (primarily a hologram), a variable (non-cloneable) and unique QR code and an app to verify it. While the label is highly secure and tamper-proof, the code is generated using a patented three-step encryption-decryption technology so that it cannot be duplicated. The end consumer while buying a product with these holograms can use the app to verify them. When a counterfeit is detected, the brand owner is prompted instantly, thus enabling him to take the necessary steps. As of now, Uniqolabel has been promoting its product through social media channels. Other than this, brands that are using Uniqolabel holograms also promote the app through ads, and hold meetings to encourage dealers to suggest it to their consumers. The start-up is also in talks with companies like Prestige, to have white label apps and integrate the technology into their own apps. Incorporated in March 2017, with an initial investment of 4 crore, the company presently has around 20 customers including Kitply, National Plywood and Godrej. While the app is free for the end consumer, companies are charged per unit, which includes the cost of the software, QR-code and physical label. The rate varies depending on the size and quantity of the label. The e-ticket size ranges between 1 lakh to 10 lakh per month, depending on the volume ordered by the brands. Jain expects to touch revenue of around 5 crore by the end of FY18 and hopes to add around seven to eight customers in the next six months. But what if there are a lot of people who don’t mind buying the fake products being sold on Indian streets? “Our job is to prevent anybody from getting duped,” says Jain. The idea is to serve those consumers who pay for the original, but receive fake products instead. With existing customers from industries like plywood and cosmetics, Uniqolabel is now targeting the pharma sector, which is often a victim of counterfeiting. “We are planning to get more people for the marketing department by the end of this year to go and meet players in the industry, across the country,” says Jain. The 25-member team with a presence in Mumbai, Delhi, Hyderabad, Chennai, Bengaluru and Pune plans to add more revenue streams, like white-label apps. They are also planning to help companies with periodic reports about consumer scanning locations and other analytics for brand engagement and loyalty programmes. #13/37, 4th Floor, Sampurna Chambers, Opp Vijaya Bank, Vasavi Temple Road, VV Puram, Bangalore-560004, India.